A dental implant is a means of restoring a missing tooth or teeth without the need for bridgework or dentures. An artificial root is made from titanium, and then anchored in the jawbone to support prosthetic teeth. Patients who have lost teeth due to trauma or disease often choose implants over other reconstructive procedures. The main advantage to implants is that you do not have to prep or cut down healthy teeth in order to make a bridge to replace a missing tooth or wear a removable partial denture to replace several missing teeth. Also, that there is no danger of bone loss in the jaw, which is an unfortunate, but natural, consequence of missing teeth. Finally, there is no danger of shifting or slipping, because in every respect that matters, implants are identical to your natural teeth. If you live in or around Larchmont and have dental implants, Dr. Eric Spellman can help you to ensure that they last you a long time, and can restore them if they should become damaged. If you and Dr. Spellman agree on the need for implants, Dr. Spellman will refer you to an Oral Surgeon to place the actual implant. Today we usually use implants made by Strauman. They heal twice as fast as the other implant brands (6-8 weeks). My feeling is that if the bone heals so quickly there is less chance of the implant ever failing, which is not a common occurrence. After the implant heals the surgeon will uncover the top of the implant for Dr Spellman. At this point we will take an impression of the implant and then construct a custom abutment that is screwed directly into the implant. A crown is then made that fits on top of the custom abutment. 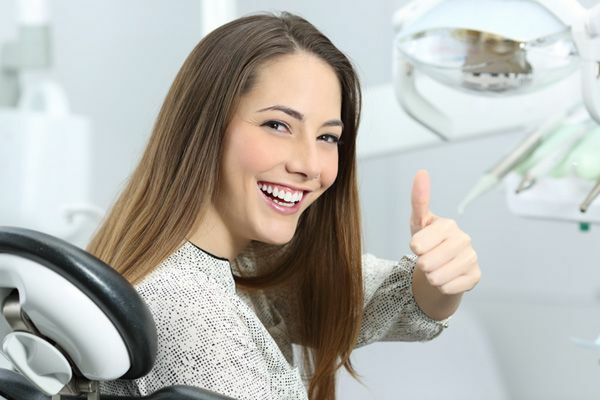 As is the case with bridgework and dentures, implants will never decay, and they require no care other than what you would give your natural teeth – in short, brush and floss regularly and see Dr. Spellman for regular checkups. There are some situations in which dental implants can fail. The most common cause of implant failure is poor dental hygiene, so keep in mind that although your teeth are no longer prone to decay, you still need to consider your gums. Periodontal disease can lead to issues with implants. Implants, like your natural teeth, are also prone to damage from grinding or excessive biting pressure. With grinding, most people do not even know that they are doing it – it most often happens in your sleep. If you think you might be grinding your teeth in your sleep, Dr. Spellman can fit you with a night guard that will protect your implants. Have you damaged your crown? In the worst case scenario, your crown can become damaged by grinding, excessive pressure, poor oral hygiene or an injury to your mouth. In such cases, the damage is not really to the implant itself – the supporting structure is almost always left intact. The damage is actually to the prosthetic tooth, or crown, that the implant supports. If this happens, Dr. Spellman can create a new prosthetic tooth for you, restoring your implants to full function. Mini dental implants are often used as an alternative to traditional implants for incisors and small teeth. They are narrower than regular implants, and are especially suited to patients who need stabilization for pre-molar teeth, a tooth that occupies a narrow area, or lower dentures. Dr. Spellman can restore mini implants as well as regular implants. 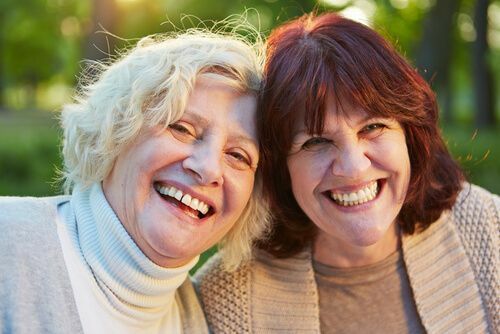 For patients who have damaged or missing teeth, dental implants can be the best alternative to bridgework, dentures, or simply putting up with a gappy smile. Although it’s not overly common, sometimes implants can sustain damage. If that happens, Dr. Eric Spellman and his staff can restore them to their original appearance and functionality. Contact us to book an appointment to have your implants restored – call 914-618-3400 or use the form on our Contact Us page. Dr. Eric Spellman and his staff take pride in providing a comfortable, caring experience for our patients in the Larchmont area. Call us today at 914-618-3400.